When it comes to getting donations, your nonprofit organization needs to make it as easy as possible for supporters. Accepting donations directly on your website removes hurdles and provides an improved level of convenience for your donors, resulting in increased donations (and that’s the goal, isn’t it?). Think about it: Someone’s already on your website, reading about the good work you do. They are inspired to donate. If you have a page or button for donating, they can make a donation right then and there. Great! But what if they have to go searching for it? What if the process is clunky and frustrating? What if it’s not an option at all? They may leave your site and you won’t get the donation. Don’t expect they will remember to come back later or will send a check instead. But what if your nonprofit’s supporters prefer to donate by check—not online? Or that your organization takes pledges and follows up with a request letter? Even in these cases, you can put your website to work for your organization and streamline your record keeping for better management and bookkeeping. 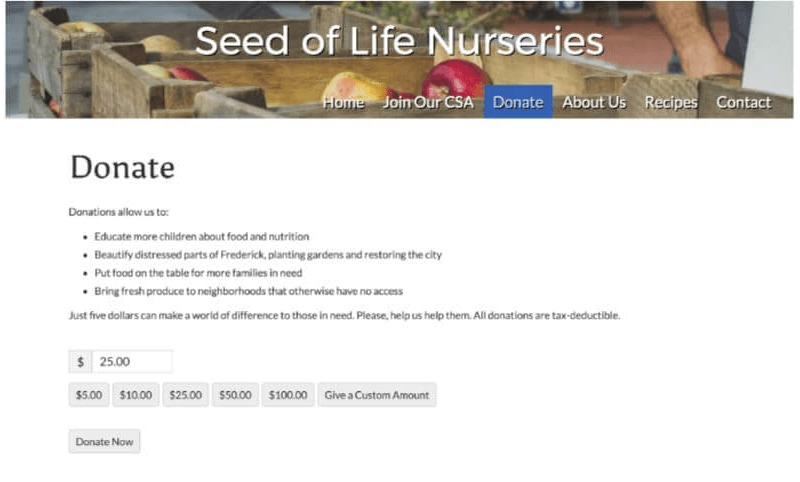 If your nonprofit organization has a WordPress website, the ability to accept donations can be added through the use of a plugin. In this case, the plugin I turn to for more and more sites is called Give. 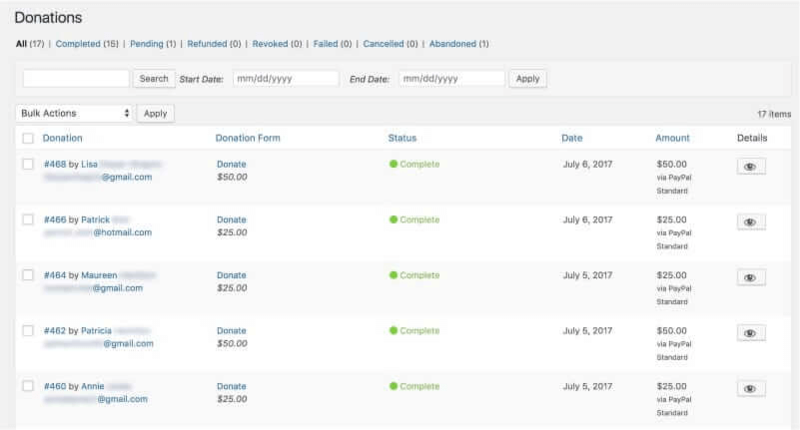 Out of the box, this free tool allows you to create a donation form with suggested donation amounts and even a custom amount. 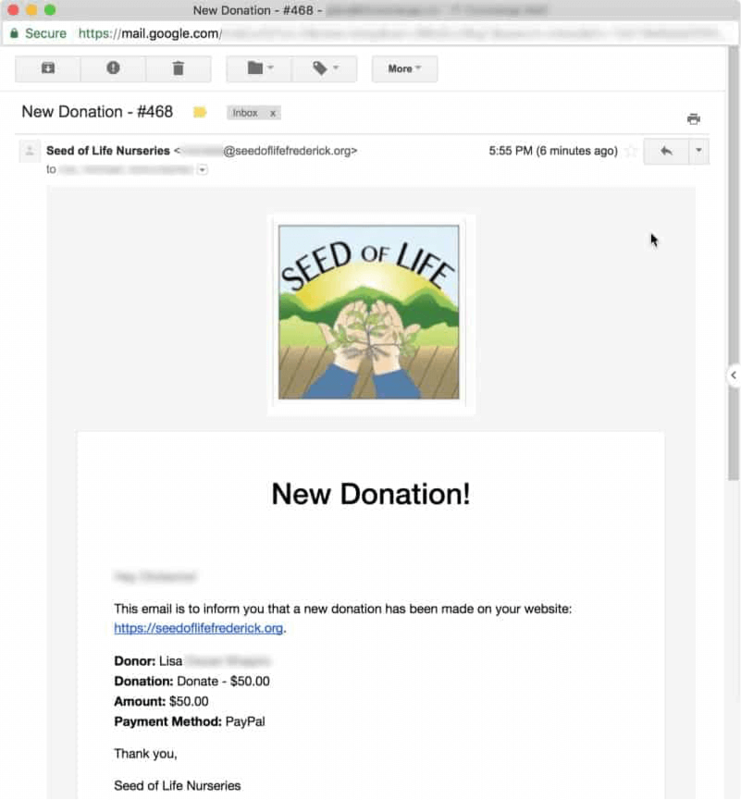 It sends an e-mail receipt and thank you message to the donor and saves the donor’s contact information, allowing you to build a donor list for future fund drives. Give offers reporting features, making it easy to do monthly, quarterly or year-end reports (Your board’s gotta love that!). 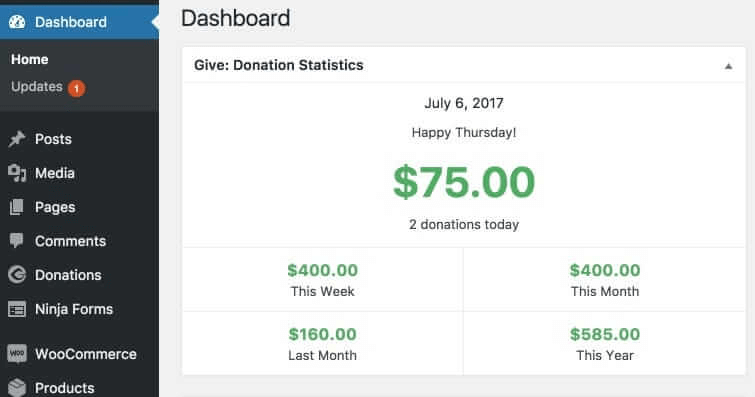 Being able to track which website page and form were used for the donation lets you determine which drives were more successful. Perhaps the best feature is that with such good record keeping, it saves you time and effort when tax time comes around. Integration with PayPal—quick and painless. Test mode so I can show clients how it works, and they can train staff members without creating real transactions. Ability to accept an offline donation so you can record gifts from donors who prefer mailing a check. Multiple donation form designs so the form fits in with the style of the rest of the website. Custom user login accounts to provide access only to the donation feature or to creating donation reports (so there’s no chance of someone accidentally breaking anything on the website). Recurring donations. 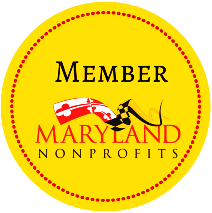 Just like your local NPR station, you can have multiple monthly donation tiers, ensuring your work and programs get continued funding for the next year. Many donors prefer a smaller monthly donation instead of a larger, one-time amount. Fee recovery. Pass on the credit card processor’s fee, typically 3% or more, to your donor rather than absorbing the cost yourself. Collection of donors’ e-mail addresses to your mailing list provider (MailChimp, Constant Contact, Aweber or ConvertKit) and even add them to specific lists or groups. Custom receipts as PDF documents. Rather than having only an email receipt for your donors, you can provide them with a PDF receipt which to print and save for their tax records. Choice of payment processor. Even though Give integrates with PayPal, you might prefer to use another payment gateway. Give currently supports 14 other card processors such as Stripe, Braintree and Authorize.net. Let’s look at how the donation process works from the donor’s perspective, referencing actual screens from the Give plugin. When someone visits your website donation page, they’ll see a screen like this one. Notice the suggested donation amounts and a value already filled in to make it even more convenient—and to suggest a higher amount. If they’d like to donate an amount other than those listed, they can click the “Give a Custom Amount” button. 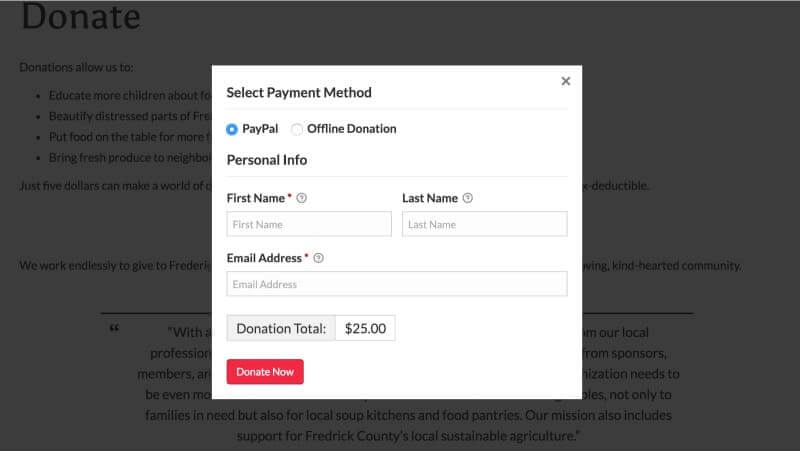 After clicking the “Donate Now” button, this payment method screen appears in a shadowbox, eliminating any distractions. They can choose to donate online (the default), or they can choose to donate offline. For online donations, you’ll collect their name and email address. After clicking “Donate Now” (notice it’s an attention-getting shiny red button), they’re redirected to the PayPal donation page where they enter their PayPal or credit card info. 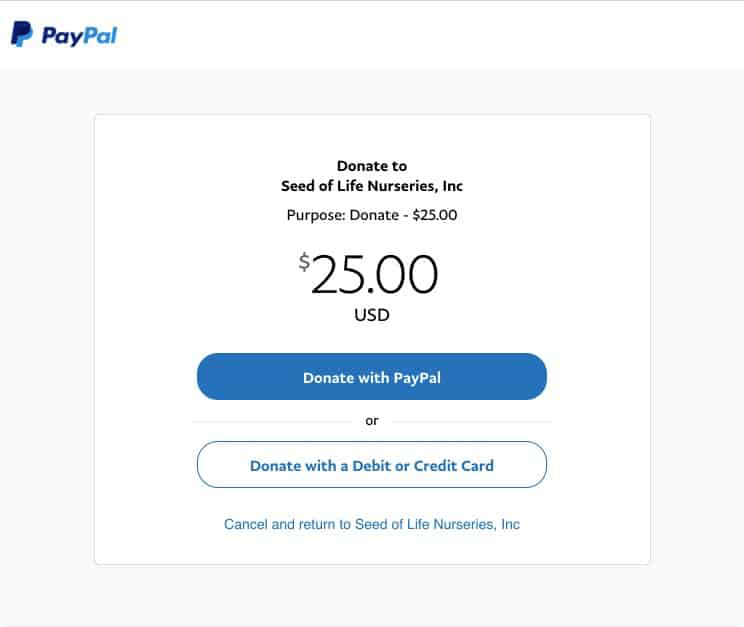 When PayPal finishes processing their donation, your donor is returned to your website. 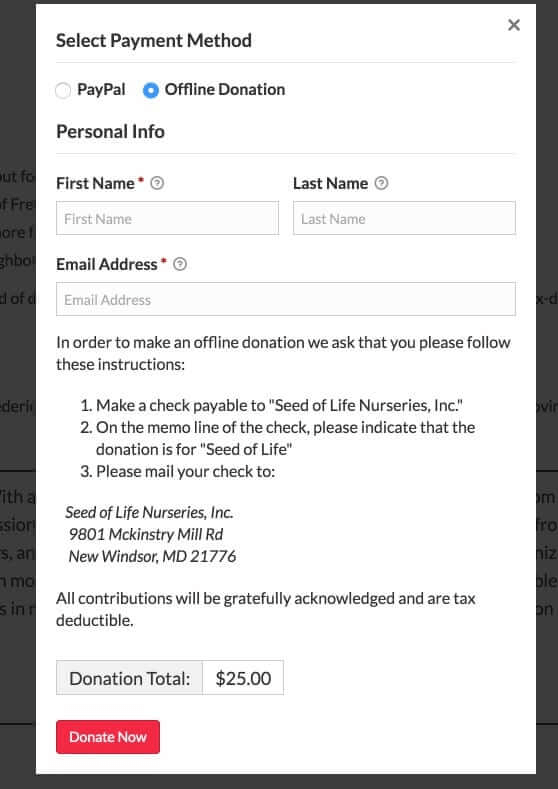 If they choose to make an offline donation, they’re shown this screen, which includes instructions on mailing the donation. They also receive the instructions via e-mail, so there’s no issue if they close the screen before they’ve recorded your mailing address. Your organization will then receive an e-mail about the donation. Your donor receives a similar e-mail, thanking them for their donation, which acts as their receipt. As you’d expect, you can customize the content of the e-mail. For instance, you may want to include your 501(c)3 number and remind them that their donation is tax-deductible. Now, let’s look at how the donation process works from your organization’s perspective. You can view all donation transactions as a list for quick review. Note the status categories at the top of the page: Completed, Pending (an offline donation you haven’t received yet), Refunded, Revoked, Failed, Cancelled and Abandoned (the donor didn’t complete the transaction). The categories allow you to filter the view of the donation list. For all transactions, you receive contact information for the donor, so your organization can follow up with them as needed such as to thank them. The reports are the most useful feature of Give. The Income Report lets you select a timeframe to review your nonprofit’s donations and income. These will be different numbers due to offline donations for which you haven’t yet received a check in the mail, refunds, amounts that haven’t been transferred to your account yet and the deduction of any processing fees. 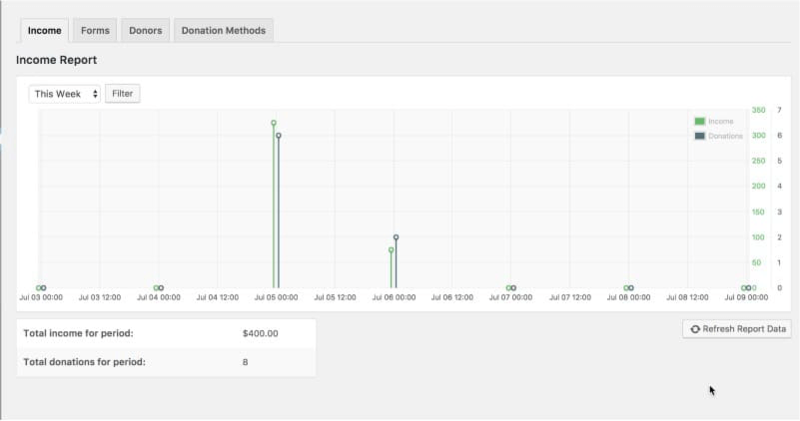 With a similar look to the Donations screen, the Donors Report differs in that it gives your organization better insight into your donors. You can easily see if someone has made repeat donations and the total of all of their donations. The Donations Methods Report shows which donation methods are being used by your donors. Suppose your nonprofit has been accepting online donations for a lengthy period of time—say six months or a year. Looking at the particular data in this report, which shows no offline donations, you might conclude your organization doesn’t need an offline donation option. You can use this report to review what is working and what isn’t and then make decisions based on that data. Give offers a great deal of utility for any nonprofit organization. The ability to have good record keeping for your donations alone justifies its use. Plus, when you consider the user-friendly features and the way Give closes the communication loop with your donors, it really earns its keep. For nonprofits in their early stages, Give offers a great solution with no hit to your budget. 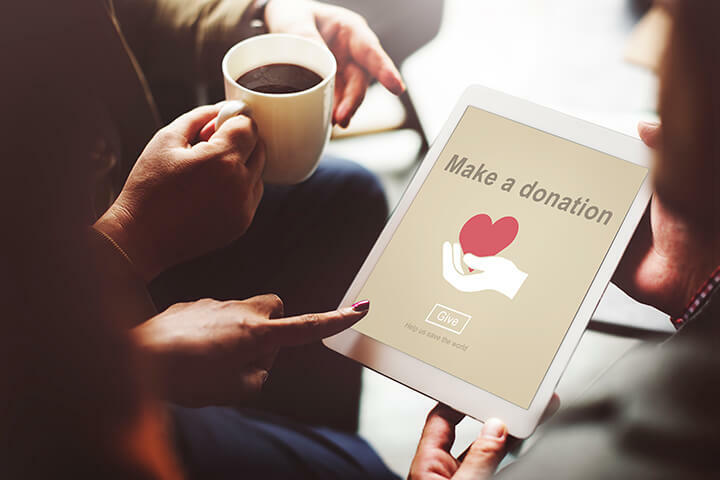 As your organization grows and may want to provide expanded donation options such as recurring contributions, Give can accommodate those needs with its add-ons. Give is definitely a tool worth adding to your donation process. Glen Ferguson, founder of IT Concierge, has more than 20 years’ experience consulting with state governments, the Department of Defense, other federal agencies and Fortune 500 companies. His focus is on understanding your needs and providing the best-fitting solutions. He recently started the Productivity Zone podcasts to teach others about the best business tools available. Want more ways to get more donors from your website? Let us know, share or comment below. 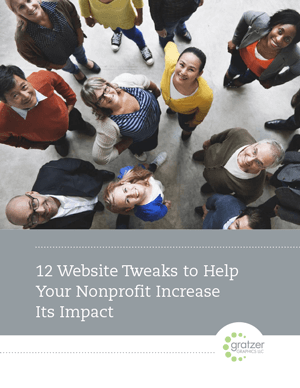 Is Your Website Hurting Your Nonprofit? How Many Donations or Sales Will You Miss Out On if Something Happens to Your Site? How Does GDPR Affect Your Organization? Does Your Brand Sound as Good as It Looks? Is Your Nonprofit’s Website a Lawsuit Waiting to Happen? What Does Publication Design Cost? Is Your Nonprofit Making These 7 RFP Mistakes?